New to the SWLS Schedule in 2015, we head to the Piney Woods of East Texas. The AS&NT outside Dallas regularly hosts the Fall Meet in early October. One of the original SWLS tracks, the AV&WRR is west of Ft. Worth. Take a trip just north of the Red River to visit the Boggy Bottom Railroad. The CC&S is the home of the Houston Area Live Steamers which jointly hosts several annual meets with SWLS. Another stalwart of the SWLS, the Leatherwood family continues operations on the D&RG. Located in the San Antonio area, the RD&D is the southern most trip. 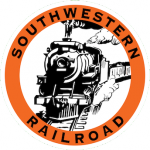 Brent Courtney’s Southwestern Railroad is located in Magnolia, Texas, near Houston. Head to the clear views of west Texas and the TW&DG.